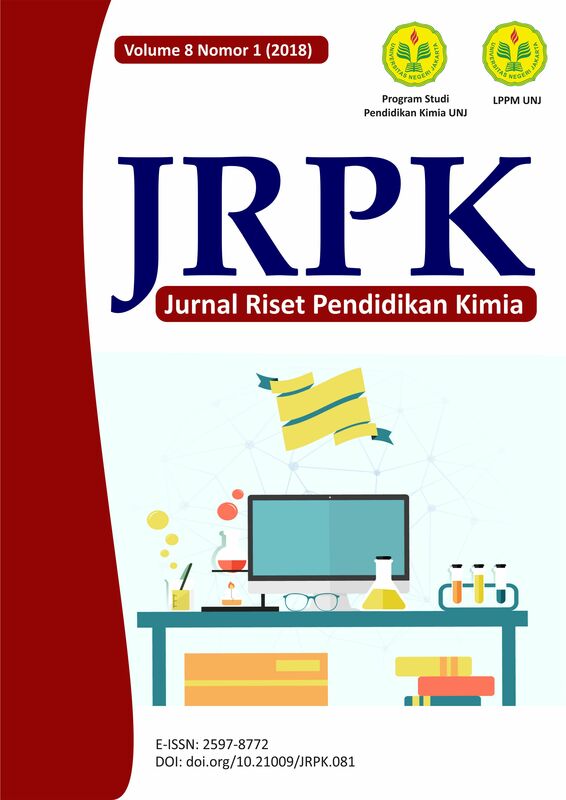 The research focused on development of pre-service chemistry teachers’ pedagogical content knowledge (PCK) using CoRe (Content Representation) framework and metacognitive strategy in curricula subject which is called Telaah Kurikulum Kimia course. This study employed qualitative approach with multiple methods of interviews, observations, concept test scores, and reflective journals, PCK rubric, and MAIT (Metacognitive Awareness Inventory for Teachers). The study results show pre-services teachers reflected on their PCK through CoRe framework. They learnt to use metacognitive strategy to understand the chemistry concept in developing their content knowledge. The pre-service chemistry teachers developed their PCK in teaching the chemistry curricula through the reflections on conceptual understanding, misconceptions, teaching methods, students’ characteristics, and assessment. The study result indicated that PCK of pre-service chemistry teachers is well developed with different subject matter. The pre-service teachers also developed metacognitive awareness in improving their PCK. Thus, CoRe and metacognitive strategy have helped the pre-service chemistry teachers in developing their PCK.